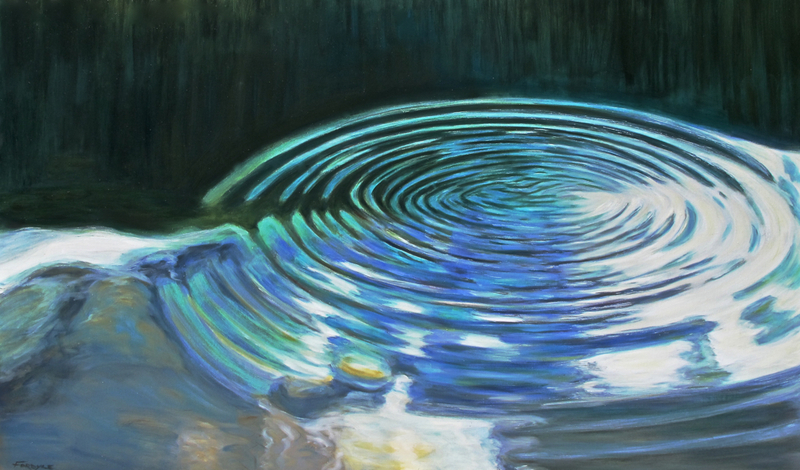 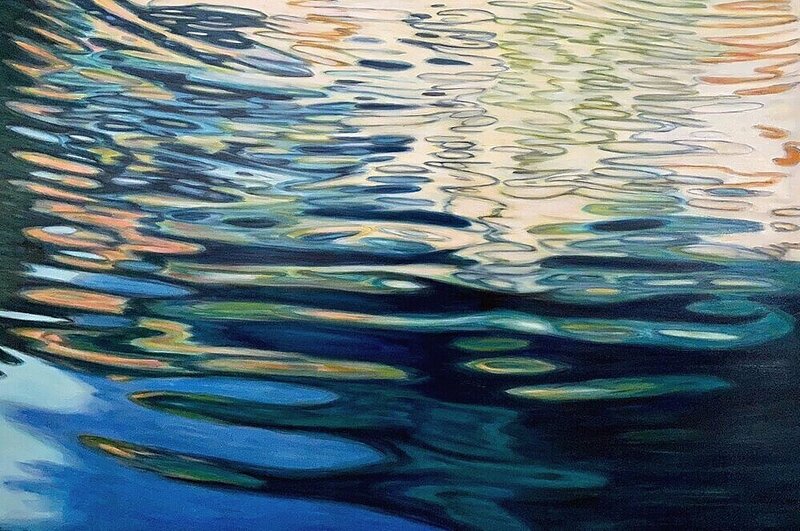 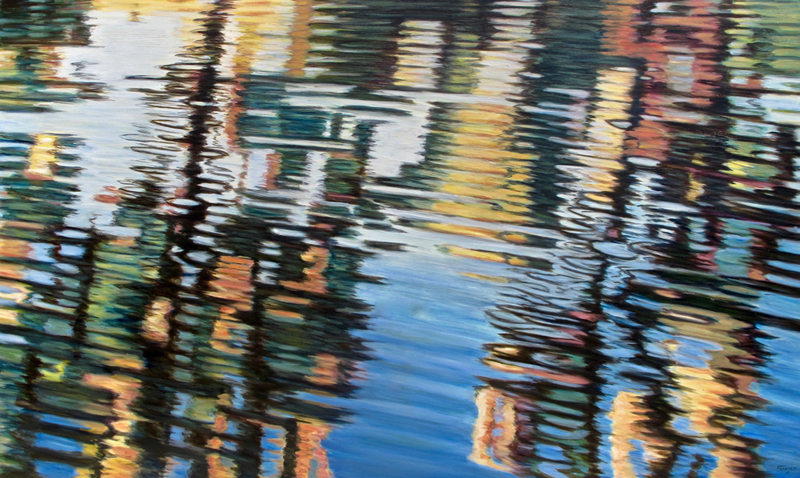 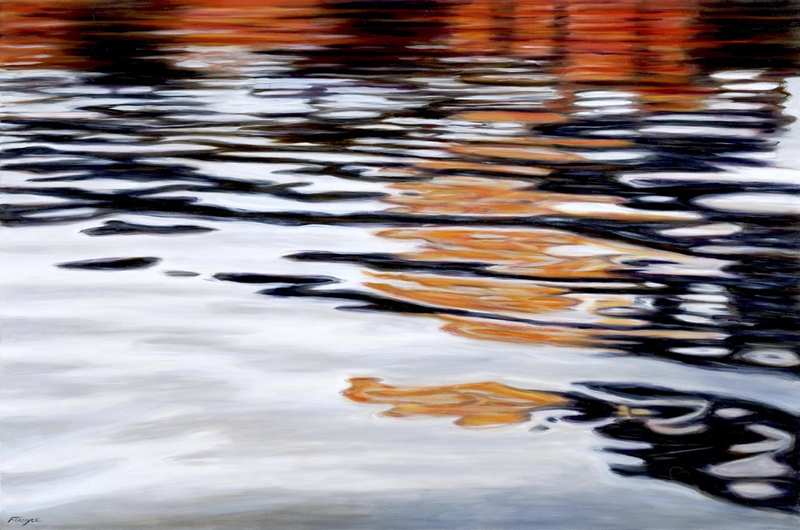 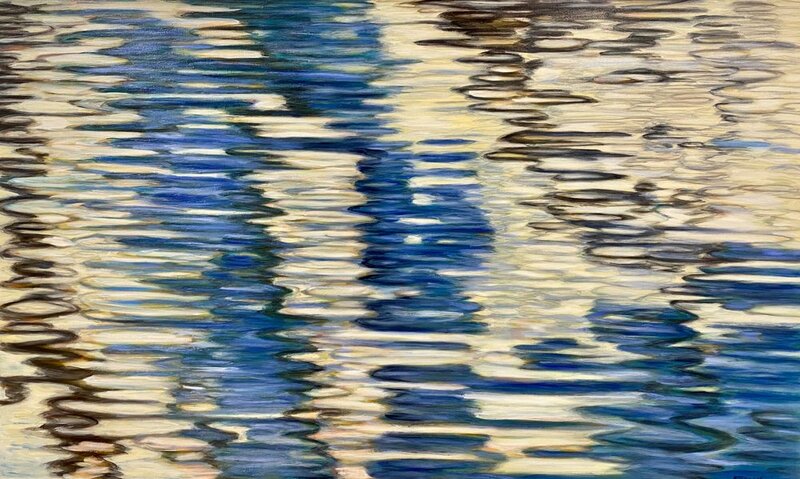 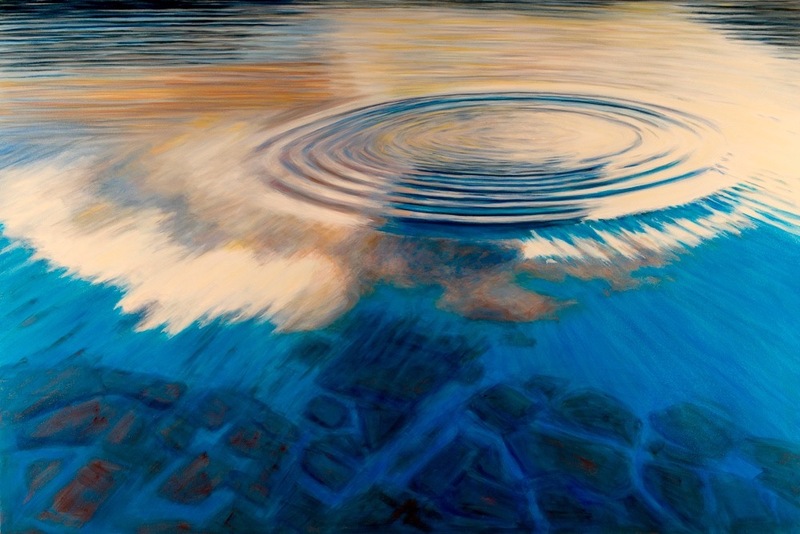 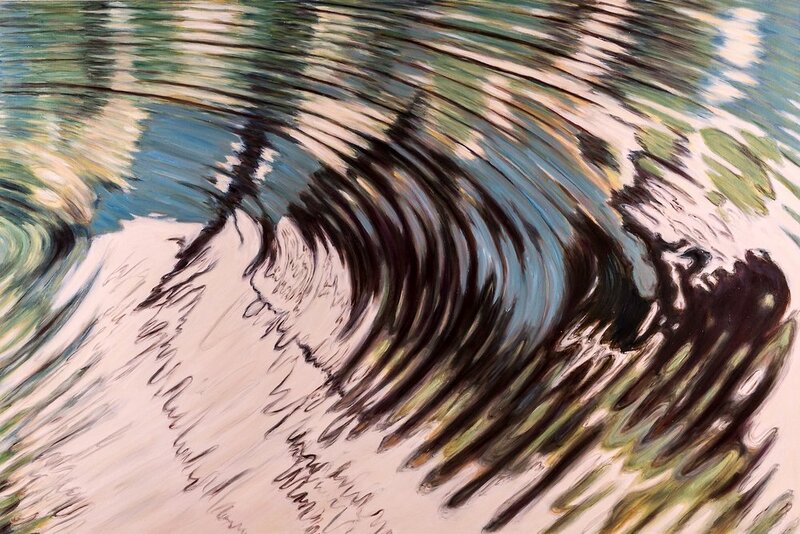 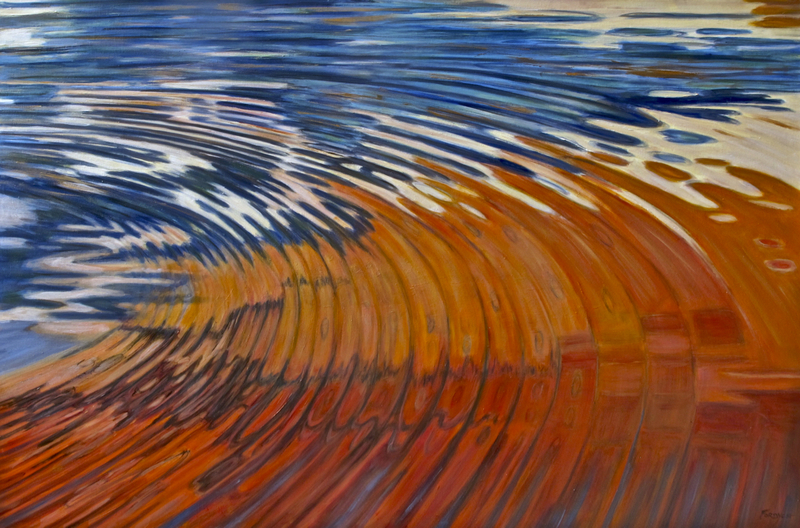 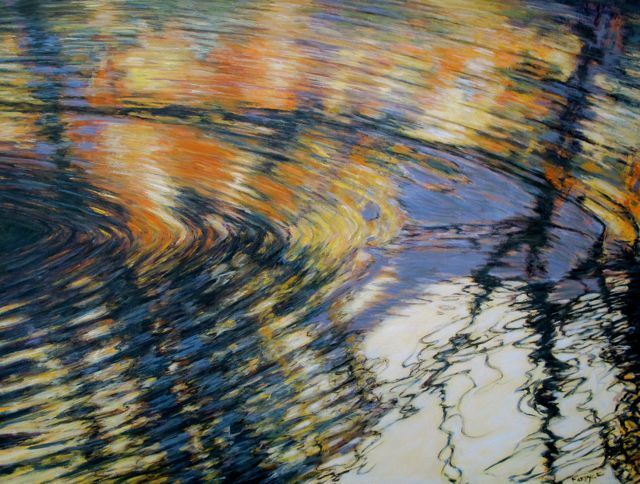 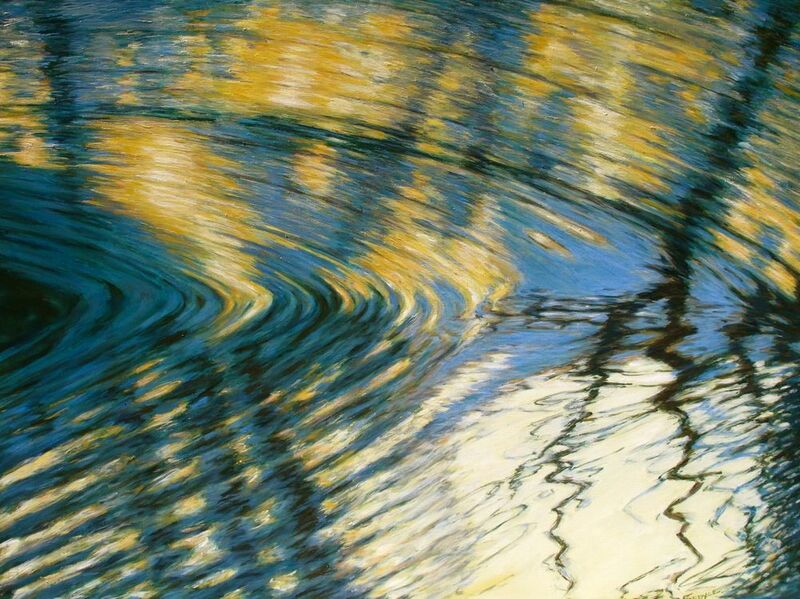 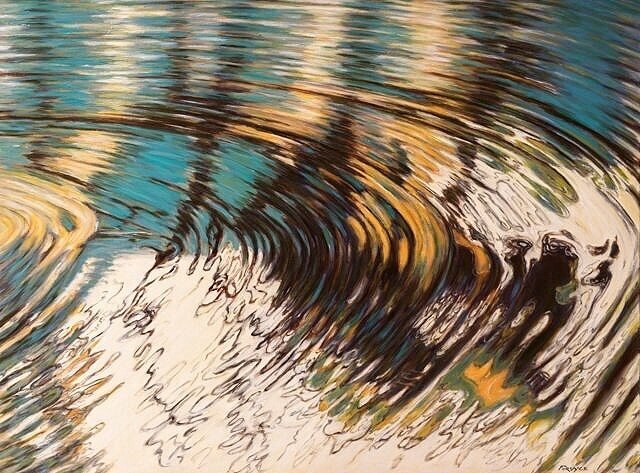 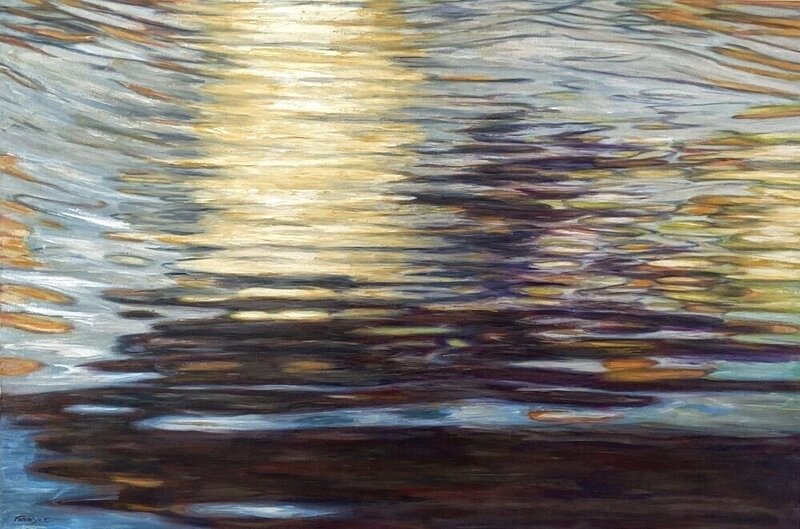 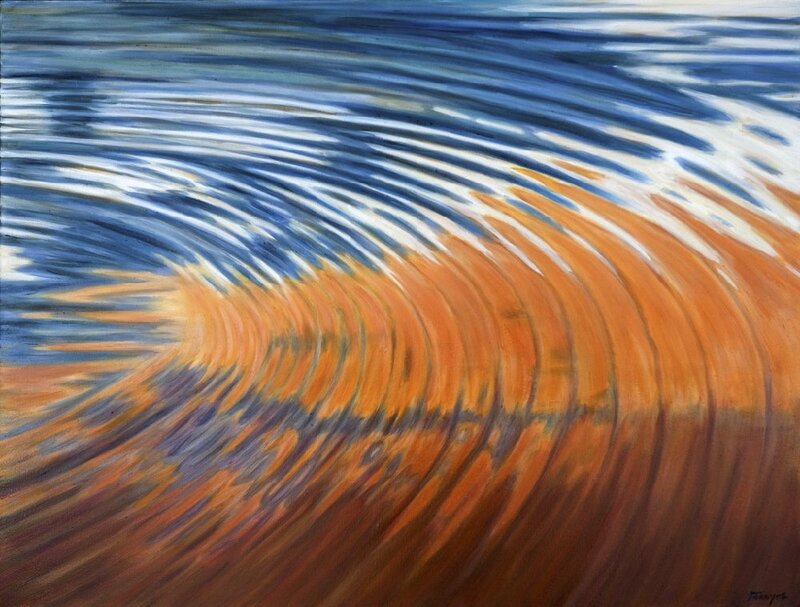 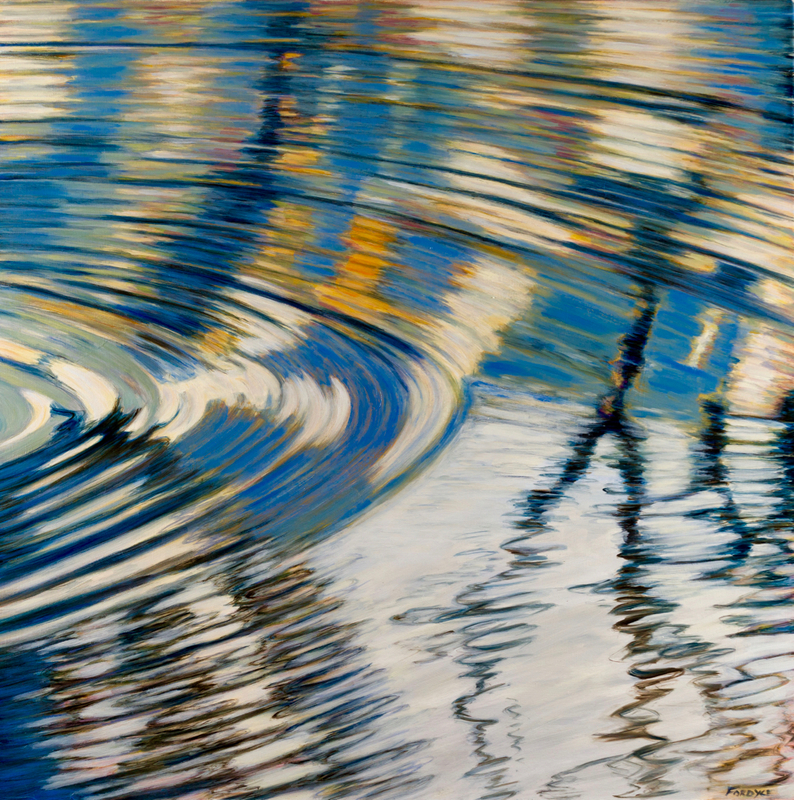 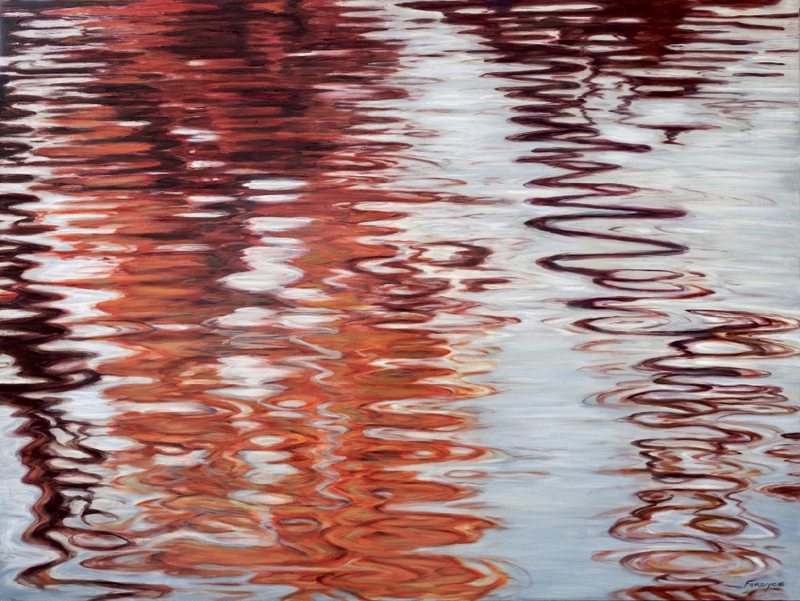 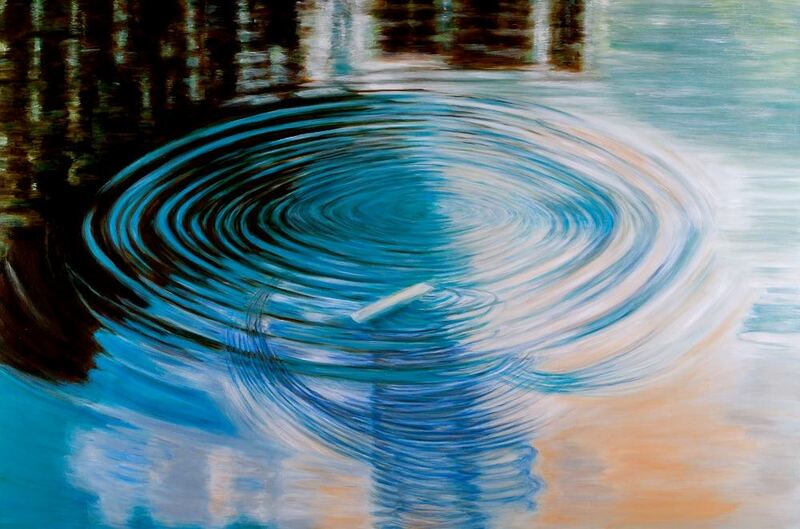 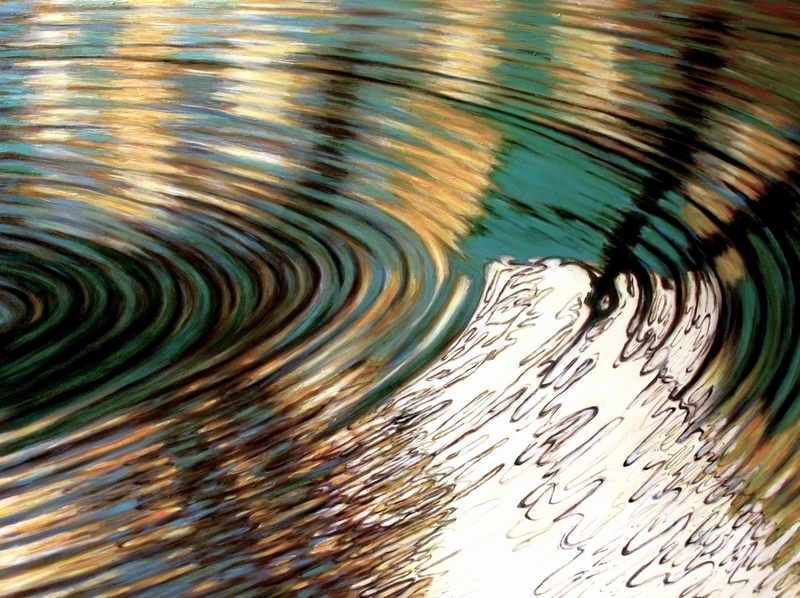 The Water Series paintings are inspired by close- up imagery of water capturing a moment in time. 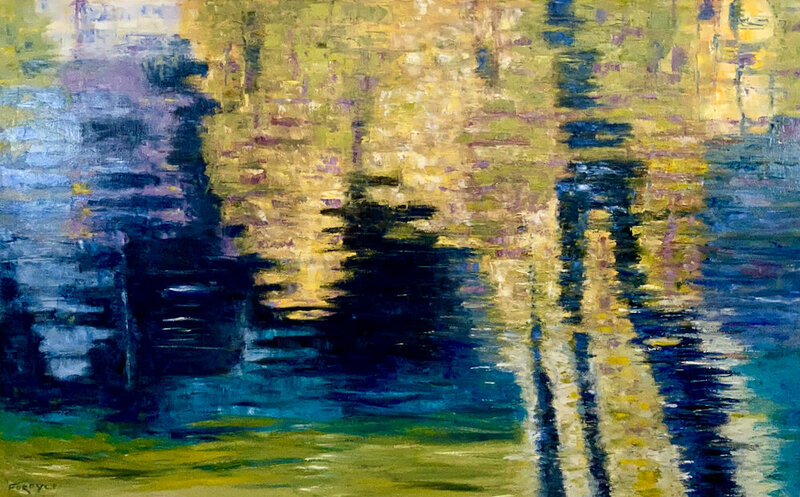 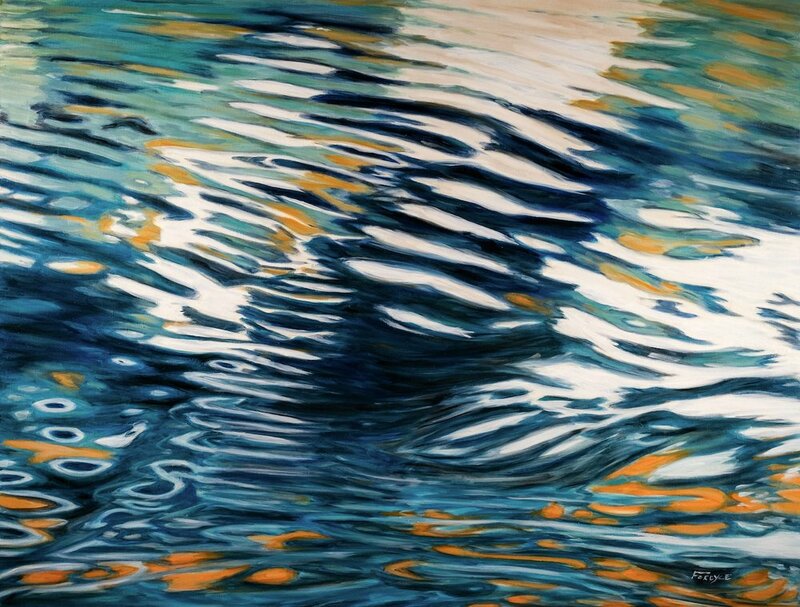 The reflected shapes of the surrounding environment, broken and abstracted through the movement of water, work as a metaphor for life and our human experience, a reflection of ourselves. 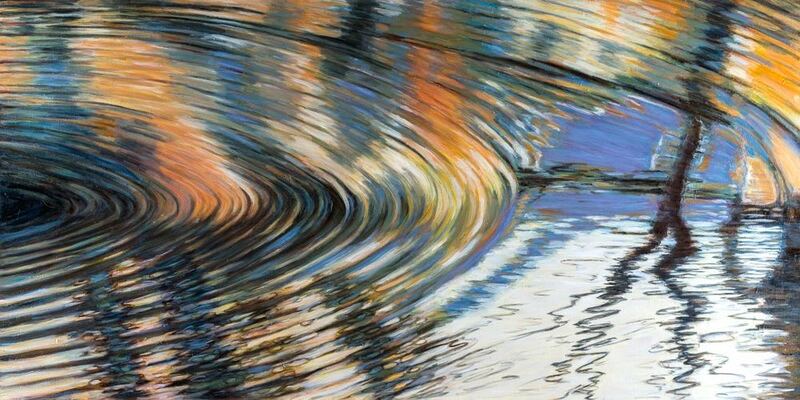 These paintings are meant to give importance to the element of water so vital for our very existence.